The numbers that Rice has put together at Laurel through the first four months of 2017 are staggering. Her 21 wins have come from just 41 starts, a 51 percent success rate. With six seconds and six thirds, her horses have finished in the top three 80 percent of the time. 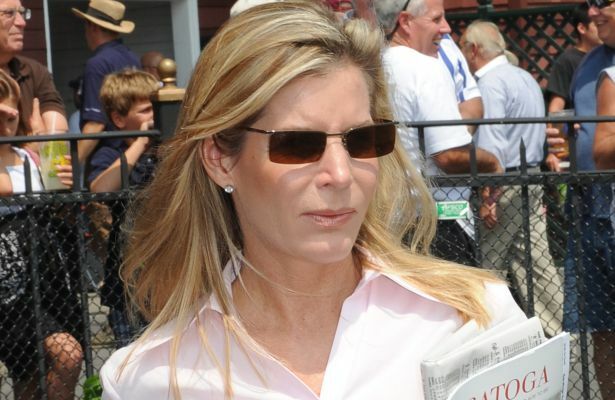 She leads all Laurel trainers with $711,180 in purse earnings. Rice, 53, has recorded at least one win on 15 of the 23 days where she has run horses. Six times she has won multiple races on the same card, most recently with City Traveler and Totaled the Benz on April 8, and she had a streak of wins with six consecutive starters between March 25 and April 7. Among Rice’s victories, two have come in stakes. Martin Schwartz’s High Ridge Road captured the Barbara Fritchie (G2) Feb. 18 and Lady Sheila Stable’s Matt King Coal won the Harrison E. Johnson March 18, the second of two victories during the Laurel meet before going on to finish second by a neck in the $1.25 million Charles Town Classic (G2) April 22. Rice earned her fifth career training title earlier this month, tying with Rudy Rodriguez for the top spot at Aqueduct’s spring meet with 12 wins from 34 starters. Her first championship came in 2009, when she made history as the first and still only female to lead the standings in the history of Saratoga Race Course. Mary Eppler became the first female to lead the trainer standings in Laurel’s 106-year history when she captured the 2016 fall meet championship that ended Dec. 31. A winner of nearly 1,600 career races, Rice was born in Madison, Wis. but grew up in Hershey, Pa., the only daughter of Clyde Rice, a perennial leading trainer at Waterford (now Moutaineer) Park and Penn National who passed away Jan. 30 in Ocala, Fla. at the age of 79. Linda Rice is a third-generation horseman whose brothers Bryan, Wayne and Curt all rode or trained. Rice studied computer science at Penn State before turning to training full-time at the age of 23 in 1987. At first she also exercised her own horses until the stable became too large, racing on the Mid-Atlantic circuit until moving her operation to New York in 1992. Rice’s first stakes winner was Double Booked, whose six stakes wins for her included the Dixie (G2) and Riggs Handicap (G3) in 1991 at Pimlico Race Course. Other Maryland stakes wins for Rice include the 2001 Chick Lang with City Zip and the 2014 Private Terms and Federico Tesio with Kid Cruz. In 2015 Rice trained her first Eclipse Award winner, La Verdad, named champion older female sprinter. Rice’s Grade 1 winners have been Princess Violet (2015 Madison), Palace (2014 Forego, A.G. Vanderbilt), Lucifer’s Stone (2004 Garden City Breeders’ Cup), City Zip (2000 Hopeful), Tenski (1998 Queen Elizabeth II Challenge Cup) and Things Change (1998 Spinaway). With 61 wins from 191 starts this year, more than one-third of Rice’s victories have come at Laurel. Her go-to rider is Horacio Karamanos, aboard for 18 of her 21 local wins including High Ridge Road and Matt King Coal in the Harrison Johnson. Her recent success has led Rice to establish a string at Laurel for the first time, currently consisting of a dozen horses. It is part of the evolution of Rice’s overall stable that has taken place over the past few years. “We tried something new. I changed my business model in the winter to stay out of Florida and that was a very positive change for me about three or four years ago,” Rice said. “In this business you constantly have to be changing. I think you have to take a look at your circumstance and try to make positive changes at all times.